Twitter help in business promotion in many ways. We are aware to many platform which brings millions of peoples together, and in that many are engaged with each other in different activities. Twitter is one of those social media platforms. Nowadays most of the business man start their day with these apps because it provides updates related to the business and share market so that you are aware that where you are investing money and what will it result. For promoting any small or large business, twitter provides a beautiful path with multiple interesting options which can grab more number of peoples and which can engage in different sort of business activities. How to manage your Twitter Business account? When you are going to start any new business or when you want to make your organization visible among millions of people the first questions arises that, how to do it? And the answer is Twitter, because it gives an opportunity to explore your ideas among others who are interested it. Sign up to twitter with your company logo and name and provide all updates related to you and your business you are dealing with, so that it can give a quick review to others who are visiting your site. Try to upload new ideas in picture or video clips so that it is easy to understand for others and you too. Socio Boosters do this all for you, Our team of experts use the proper hash tags and keywords to promote your business on internet. 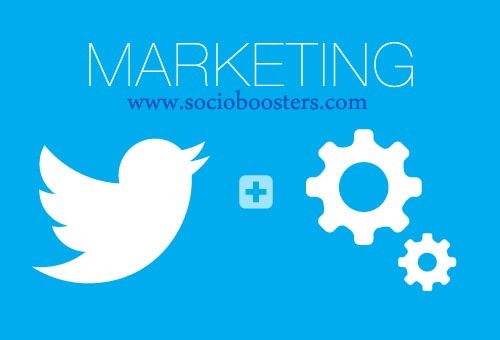 Socio Boosters is the first preference of the online business to get help with their social media promotion. At regular time basis upload product details and service details in your profile summary and if you are going to launch new product in market try to spread it with maximum number of peoples so that they can understand the usefulness of your product in their life. Once you are visible to others they can spot you and even try to follow your customers at regular interval of time so that you can get an idea that what your customer’s likes or dislikes. Once you get an idea about it will be helpful in improving yourself in coming time. Twitter followers are the great supporter in promoting your business. Once people start following you and your organization they it means that they are trusting in you and your organization. Twitters followers are those who are satisfied from you and your business activity and they are the one who can refer others too for promoting your business. Try to get more number of followers from genuine service and quality support. Try to buy twitter followers to make yourself visible but from concerned company only. So, use twitter for benefits in business activity and try to get followers with trustworthy support and quality service.